This is paradise on earth. I spent 9 years of my child living here and now live in Auckland, what a contrast. This is heaven and I miss it so so much. I had a great childhood here. We've cycled all round New Zealand and this place will be forever in our memories. June and Dave. England. I traveled all over New Zealands south island and it is so beautiful. I think everyone should take a trip there. Waimak_bridge Photo No portion of this page, text, photos, images or code may be copied, reproduced, published or distributed in any medium without the expressed written permission of the copyright holder. 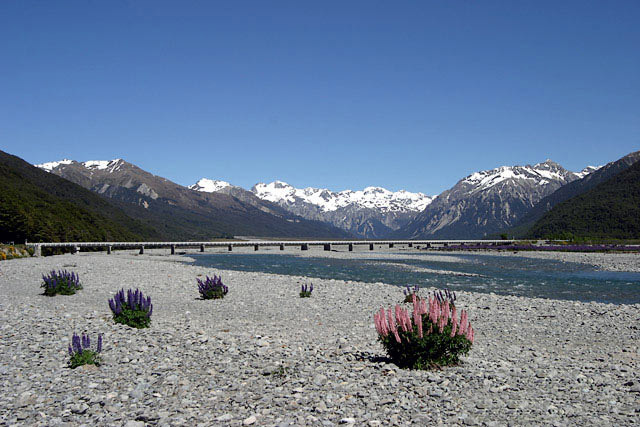 Including this photo of Waimak_bridge, Arthur's Pass.